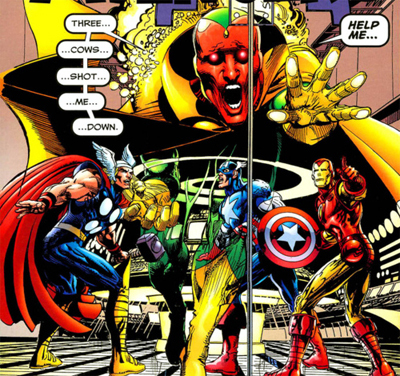 The Kree-Skrull War is perhaps the grandaddy of great Avengers story. 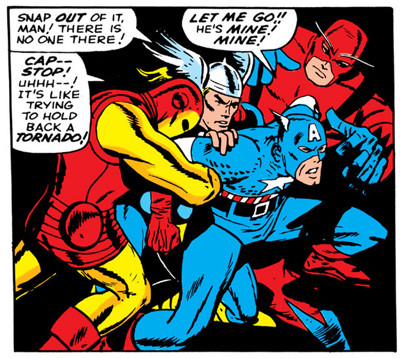 A series of interconnected one-shots with subplots congealing into an arc, it allowed writer Roy Thomas to really define the Avengers. Written towards the start of the seventies, the saga feels like something of a transition from the innocence of the classic Silver Age superhero sci-fi zaniness and a more sombre and mature Bronze Age. Despite its age, the adventure still holds up remarkably well, partially because Thomas has some very clever ideas that are still reverberating around modern comics, and also because Neal Adams’ artwork hasn’t aged a day.